As a Casual Relief Teacher you have to be ready for anything! Your phone could ring at 6am and you're suddenly venturing in to the unknown - that's OK - it's the life of a CRT. The trick is to manage the uncertainty of relief work by being super organised and having some great behaviour management ideas and resources up your sleeve...well, in your kit actually. 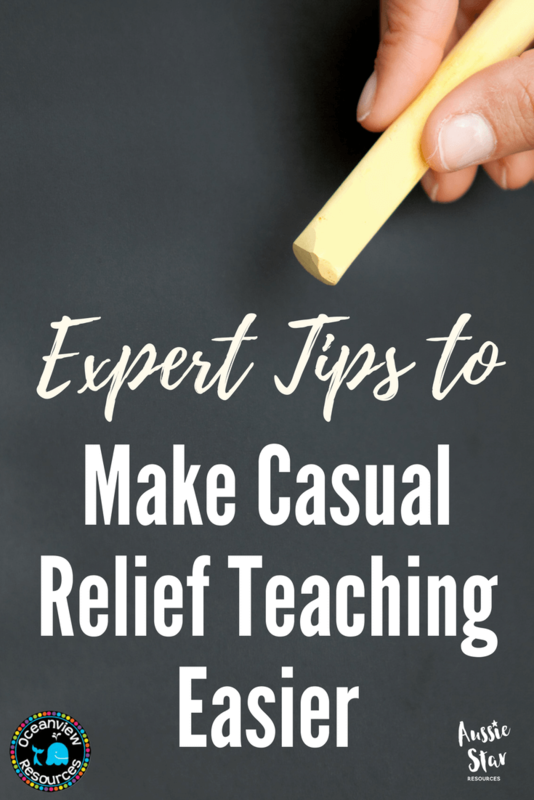 In this post we continue our interview with Nikki Tester of Oceanview Resources about Casual Relief Teaching and how to make it work for you. 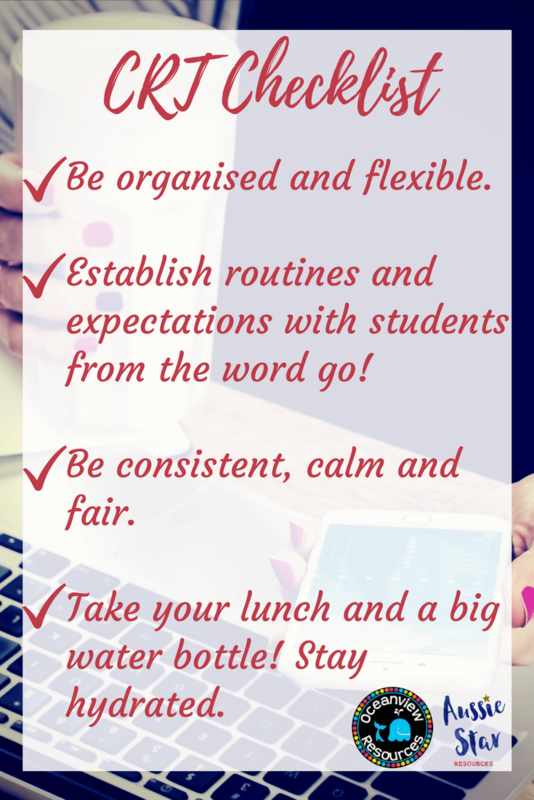 Being a Casual Relief Teacher can be a bit daunting when you first start, what are your top 3 tips for making it less stressful? 2. Establish those routines and agreements from the word go!! Be consistent, calm and fair. You must be able to follow through with any punishments or rewards, and be like a swan…..calm and in control on the surface even though under the water your feet are paddling madly to keep you afloat!!! Fairness is a universal currency with students….give them no opportunities to argue with you. Distance yourself from any conflict as it can escalate very quickly if you engage with a student on that level. 3. Make sure that you have all the food and water that you need to get you through the day. Staying hydrated is so vitally important as headaches can creep in towards the end of the day if you have not eaten or drunk enough water throughout the day. Behaviour management is a huge part of CRT, especially if you haven’t taught in the school or class before, can you share with us some ideas and strategies for behaviour management as a Casual Relief Teacher? Do you have any stories or examples? 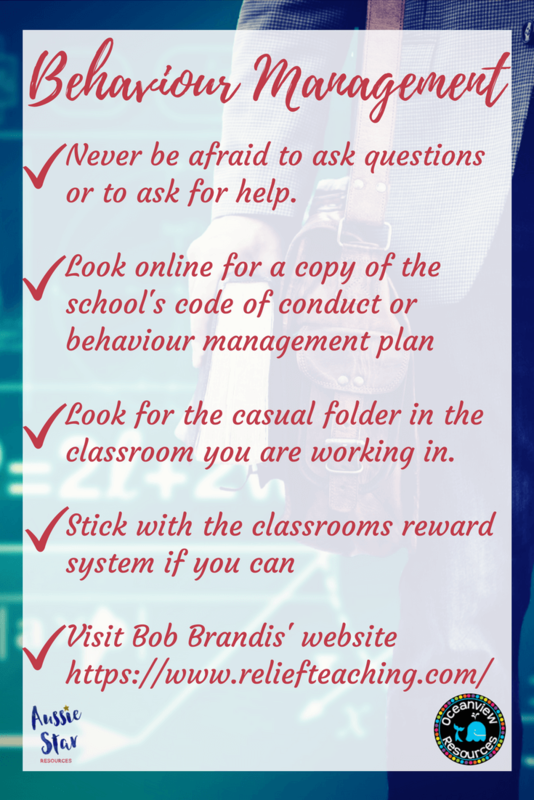 Never be afraid to ask questions or to ask for help….get the executive on side, if you need to have support for any reason (and behaviour management is usually the biggest one) then you need to be able to follow through confidently with the school management plan, and not feel like you have ‘failed’ by not being able to deal with a situation. If you visit the schools website you may find a copy of their code of conduct or behaviour management plan which is always helpful. Look for the casual folder in the classroom you are working in (hopefully there is one) It will have behaviour management plans, medication needs etc, and if the school doesn’t have these, then politely suggest that they implement them as a strategy to support relief teachers. Stick with the classrooms reward system if you can….many schools use ClassDojo, so it is in your best interest to visit that site and familiarise yourself with how it works. Nikki gives us her top tips for creating the ultimate resource kit and some helpful links to resources that will make your life as a Casual Relief Teacher a whole lot easier. . I would have never thought to look on the school’s website for their behaviour policy or code of conduct but it makes sense. What a great tip. Thanks for the post. It was very helpful.